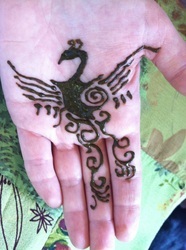 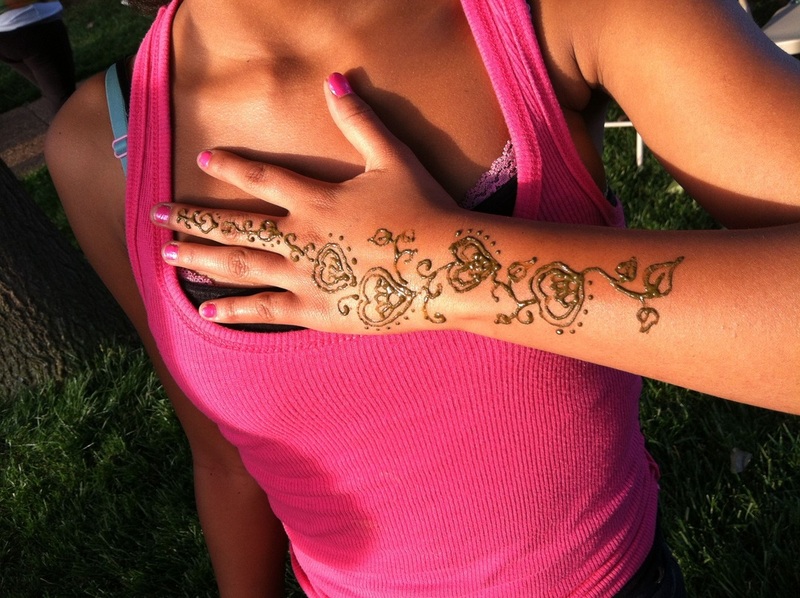 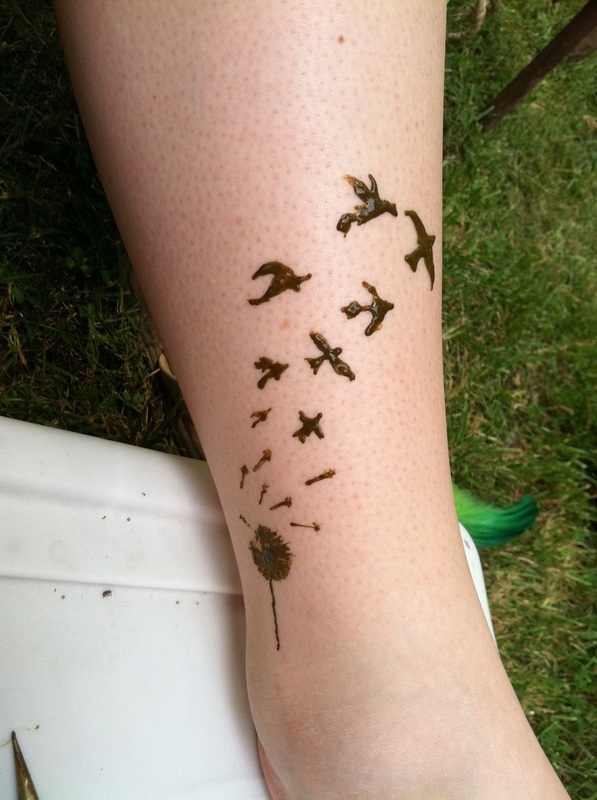 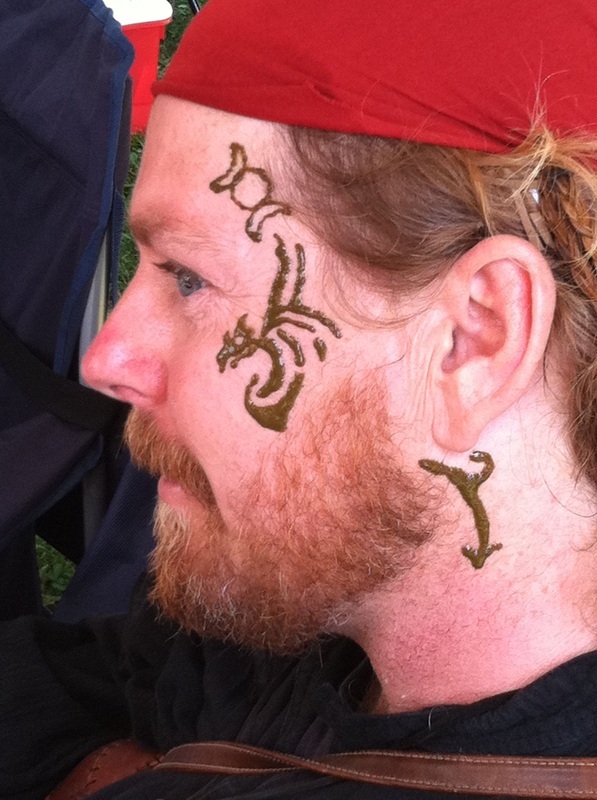 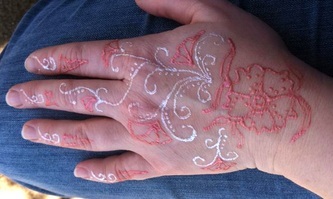 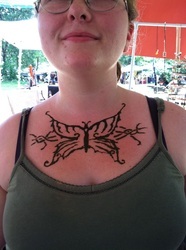 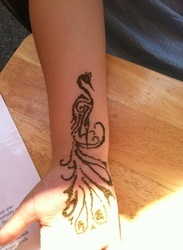 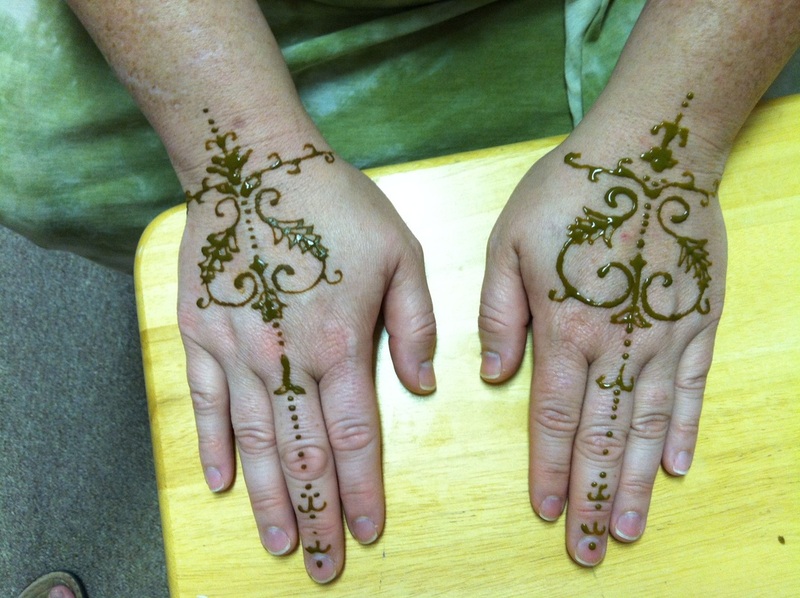 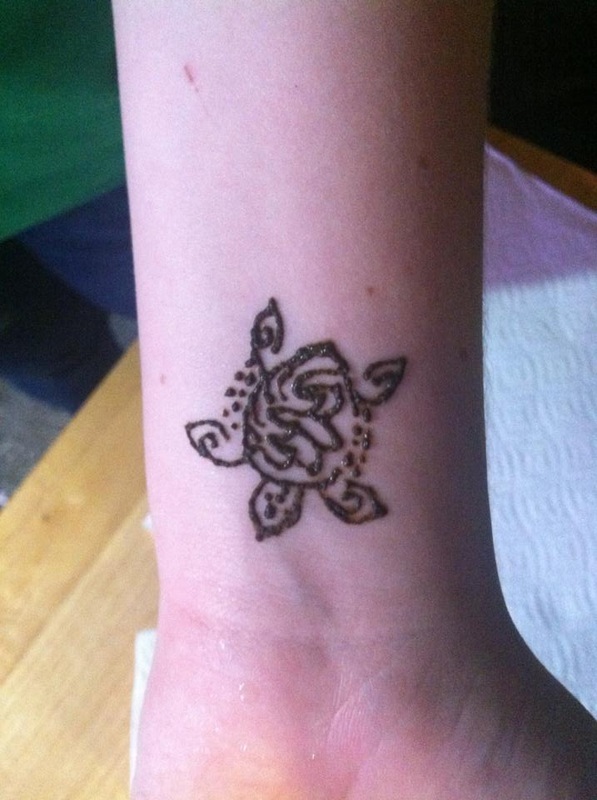 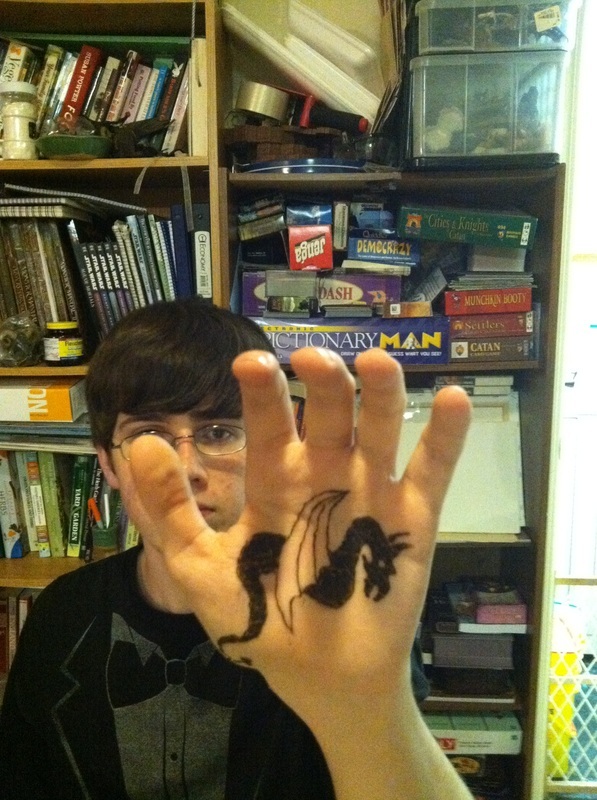 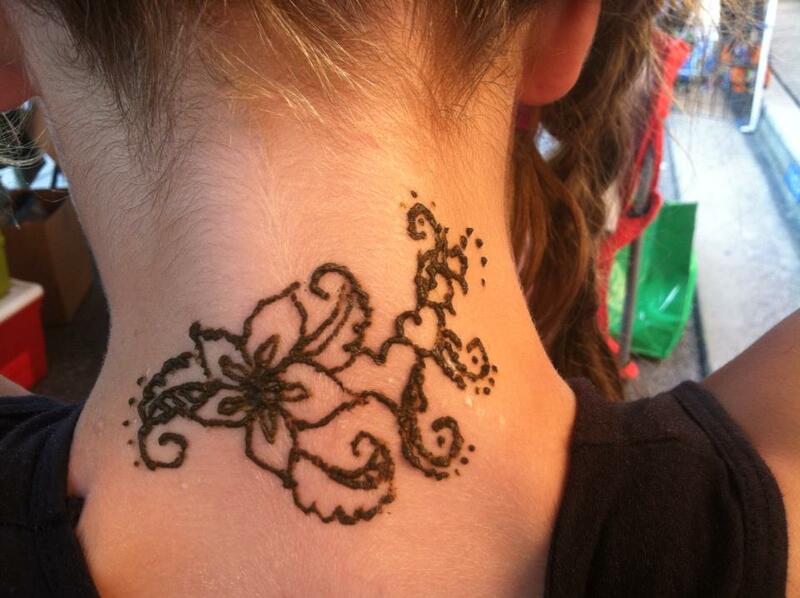 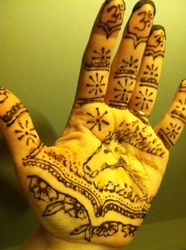 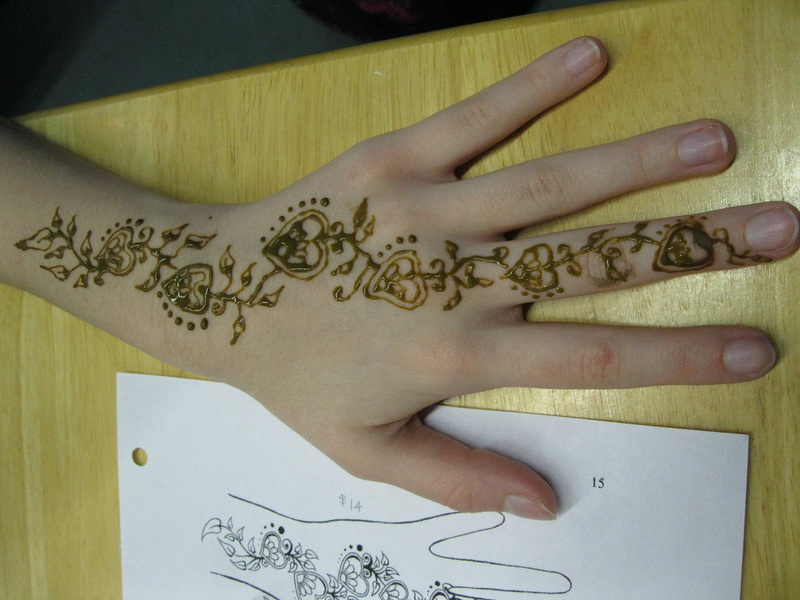 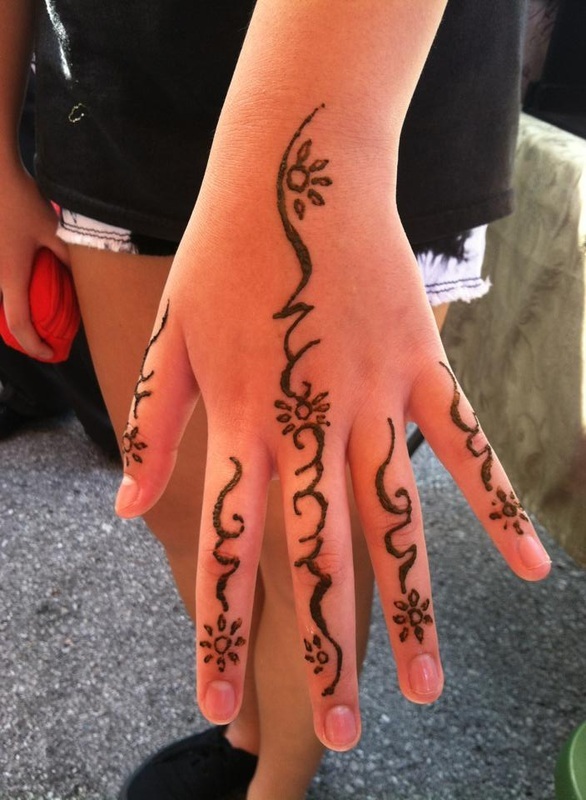 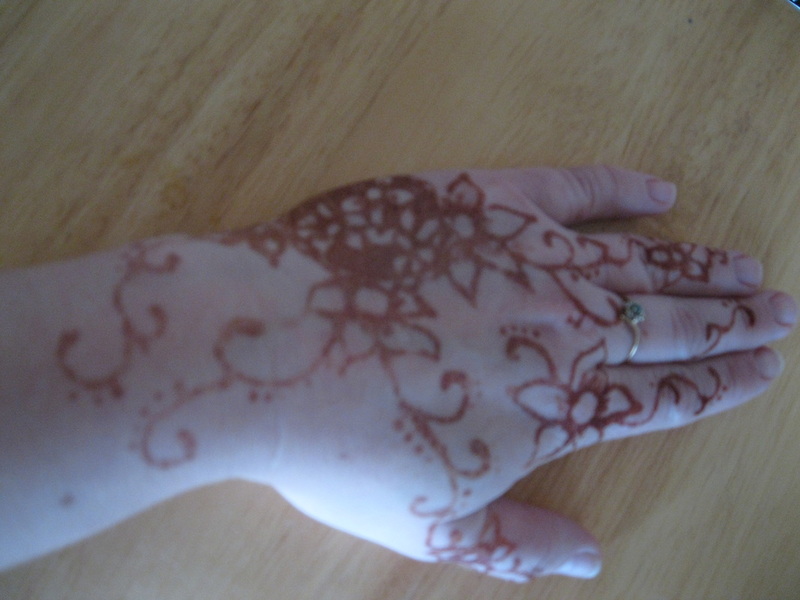 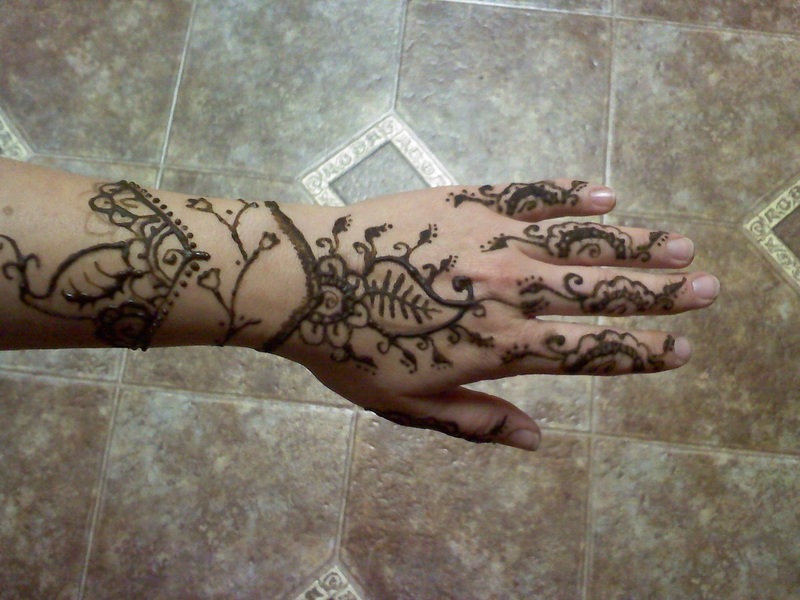 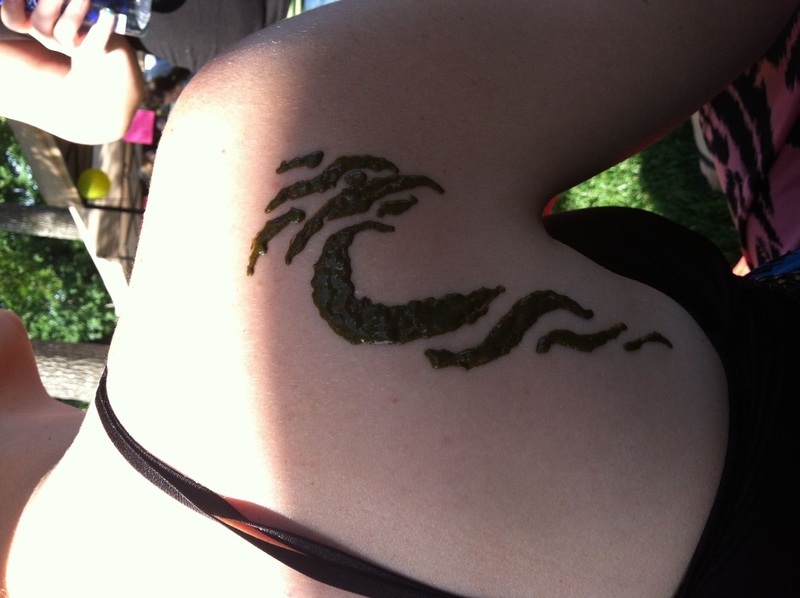 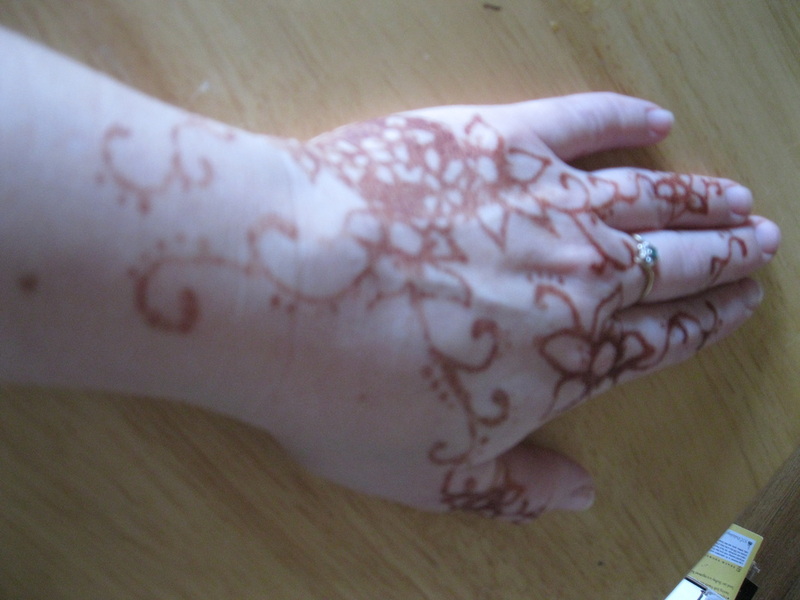 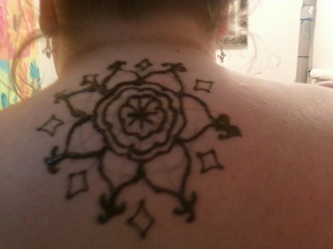 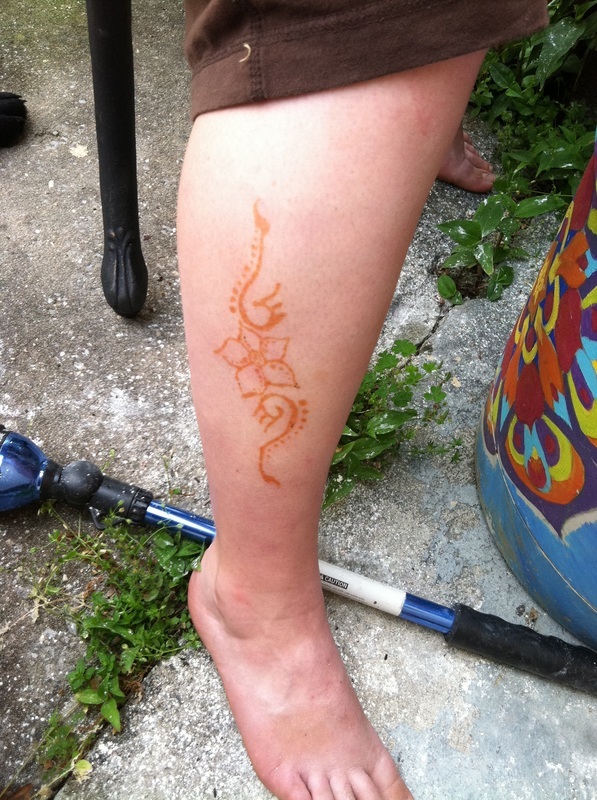 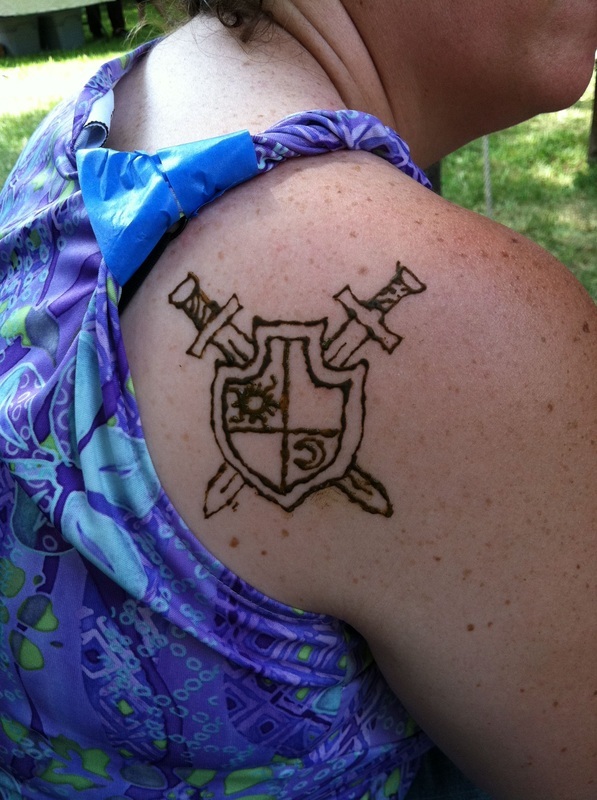 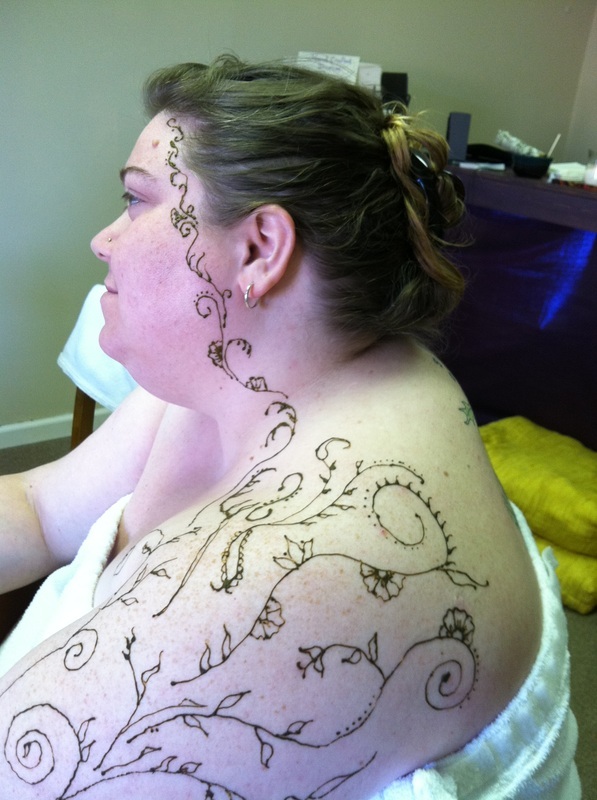 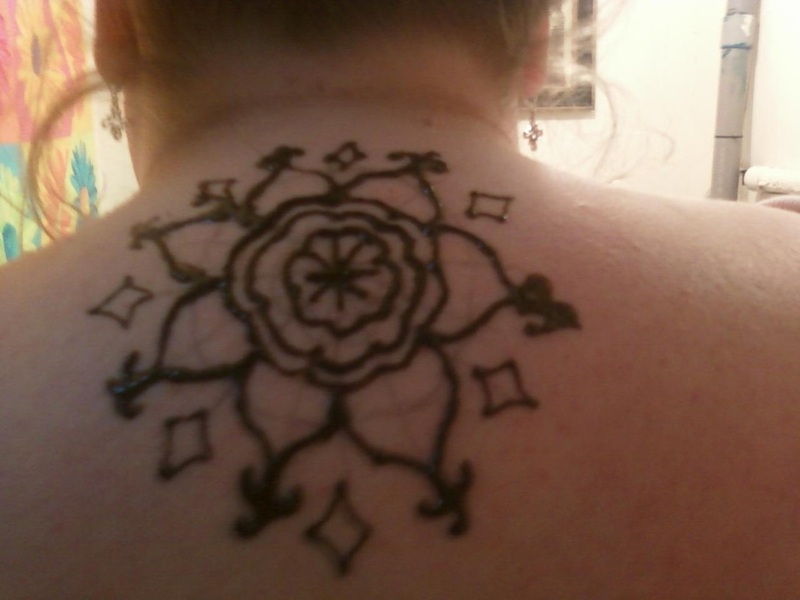 I started doing henna in 2010, and I do it at local fairs and events, which I will post about here and also on my daily painting blog. What is it? 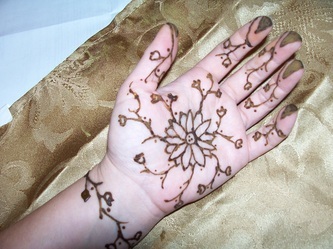 It's an ancient, mainly women's art. 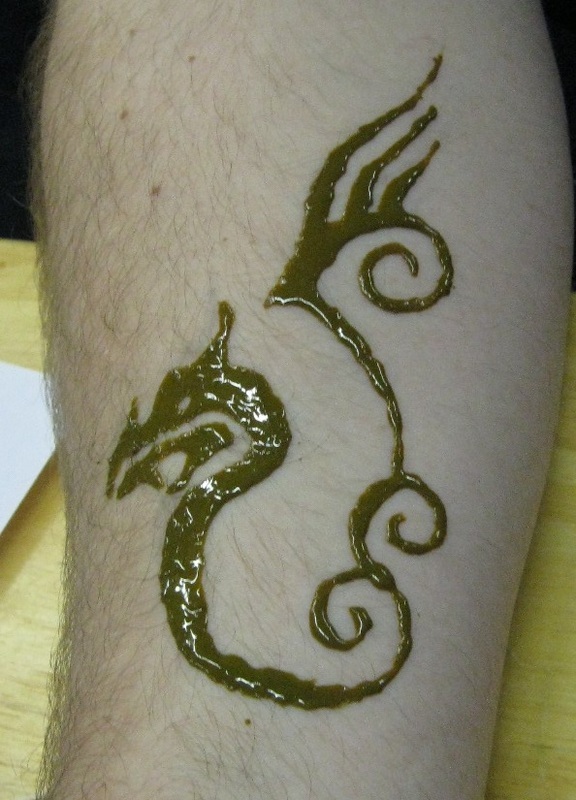 It's created using a paste made from the henna plant, and something acidic (I use lemon juice), applied to the skin, and left on for a couple of hours or overnight. 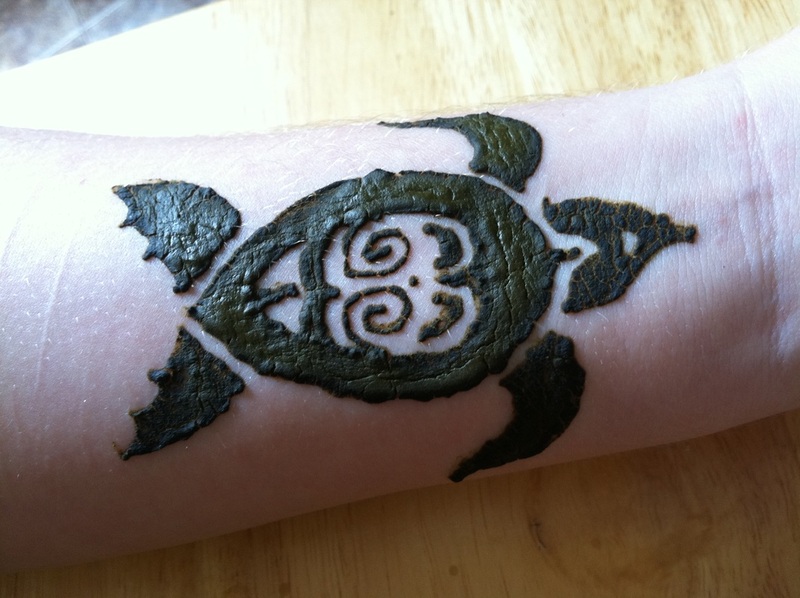 It stains the skin, and can last up to several weeks. 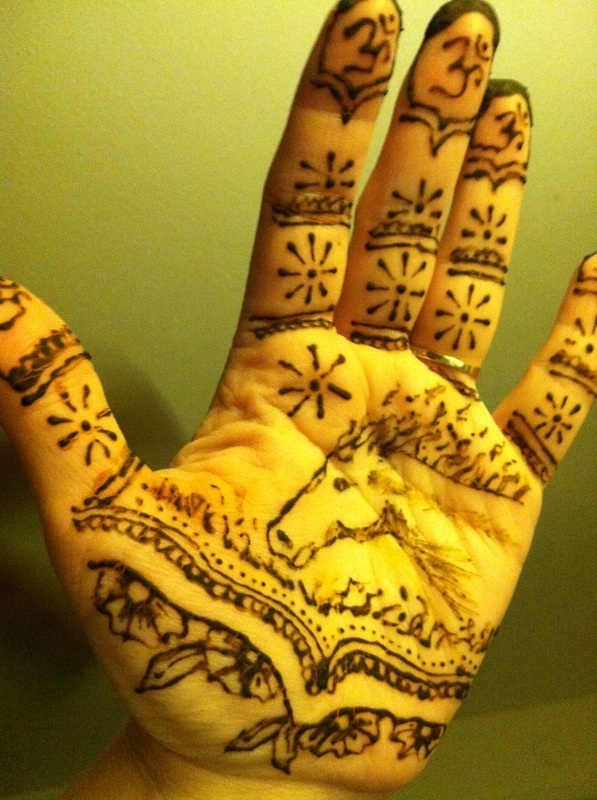 It's traditionally used in weddings in the middle east, northern Africa and India, and legend has it, the longer your wedding day henna lasts, the happier your marriage. 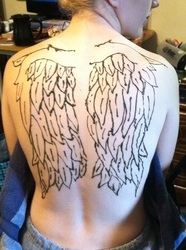 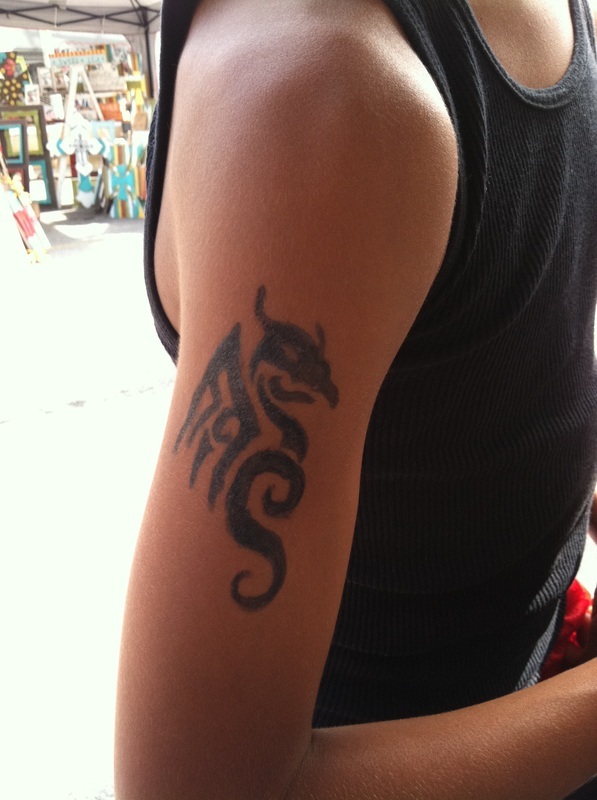 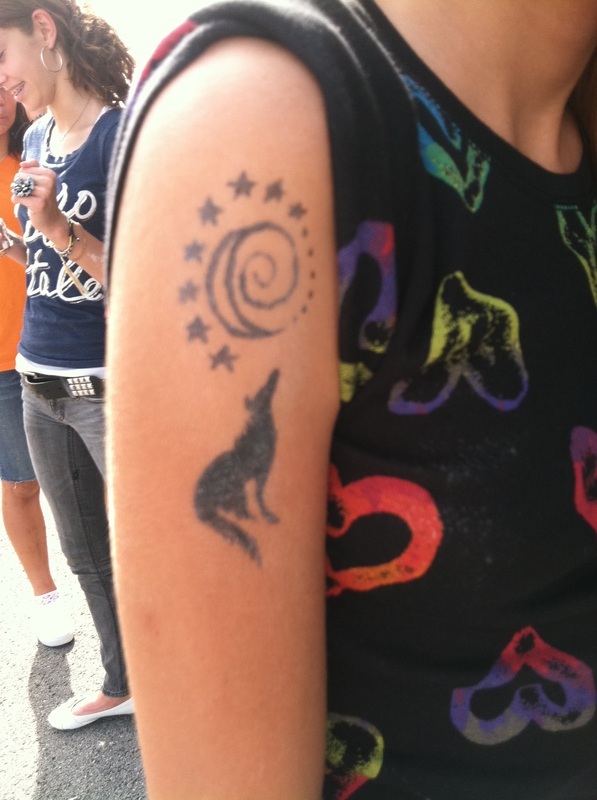 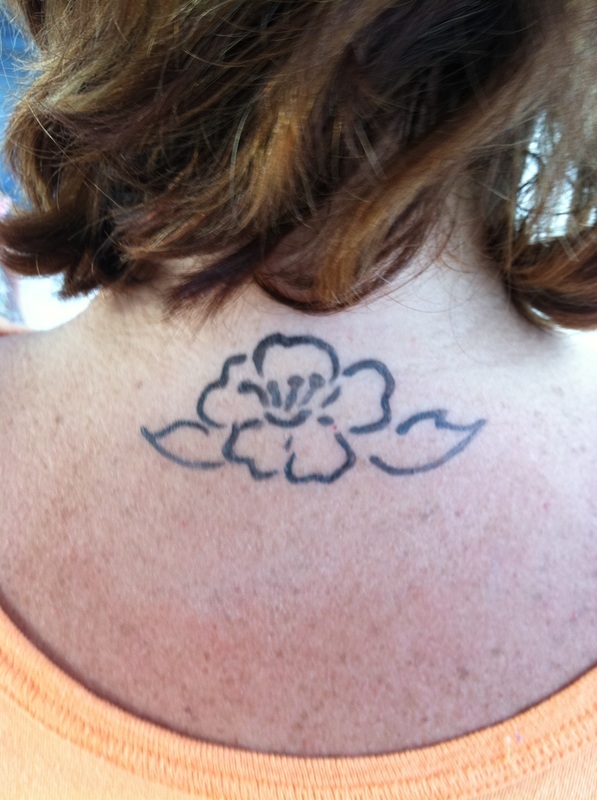 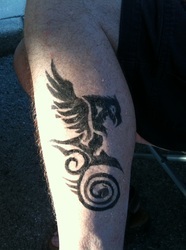 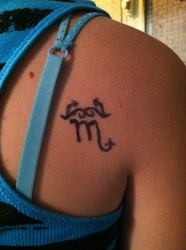 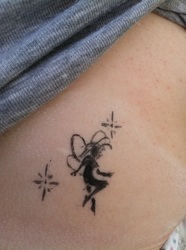 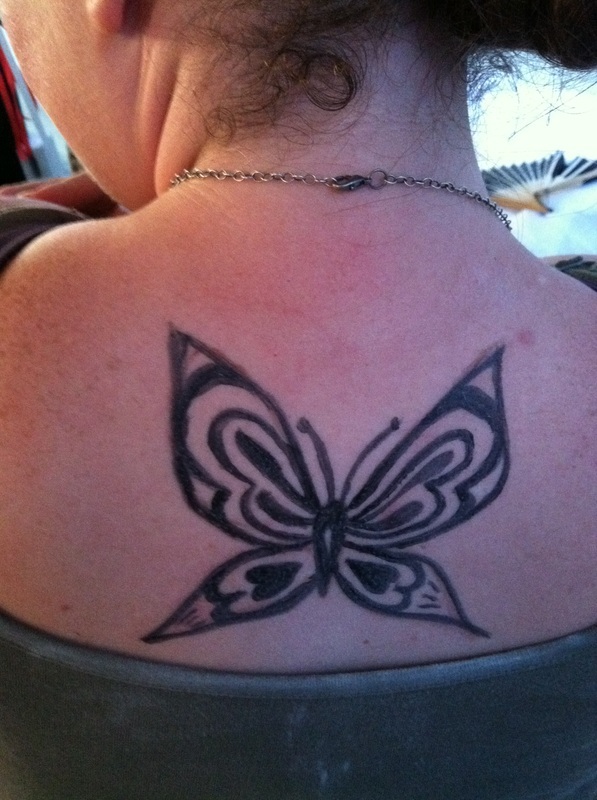 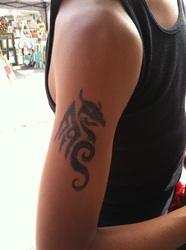 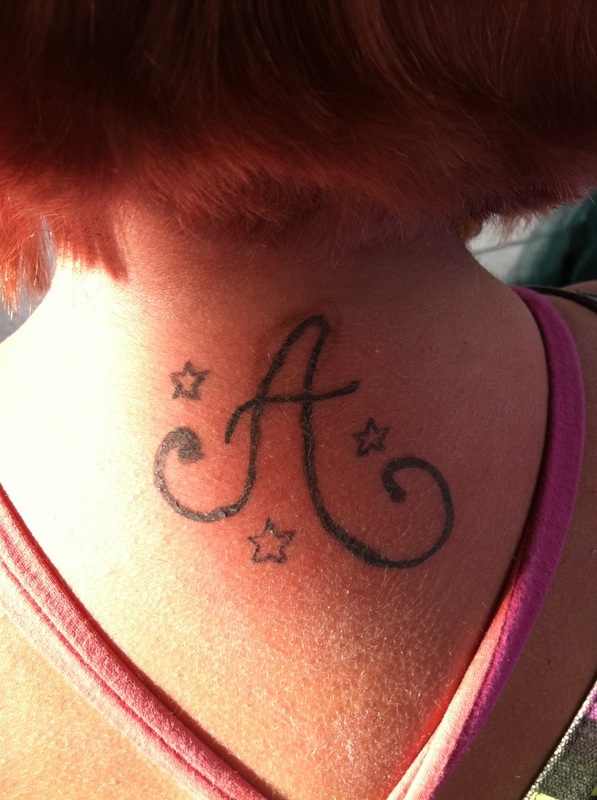 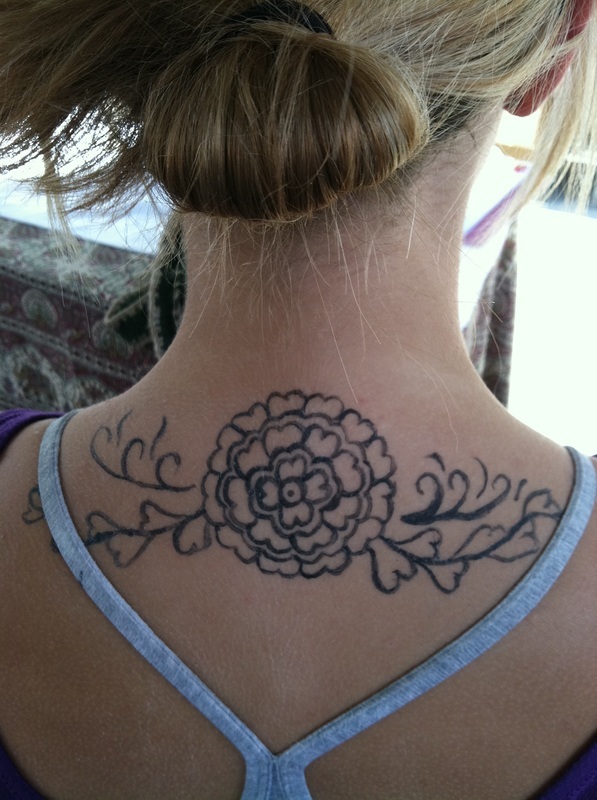 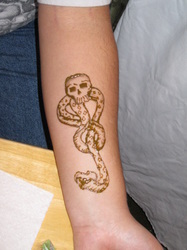 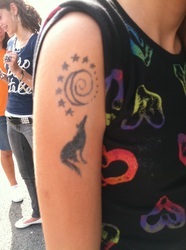 I also do these designs in Temptu body paint, used by professional movie makeup artists to create fake tattoos. 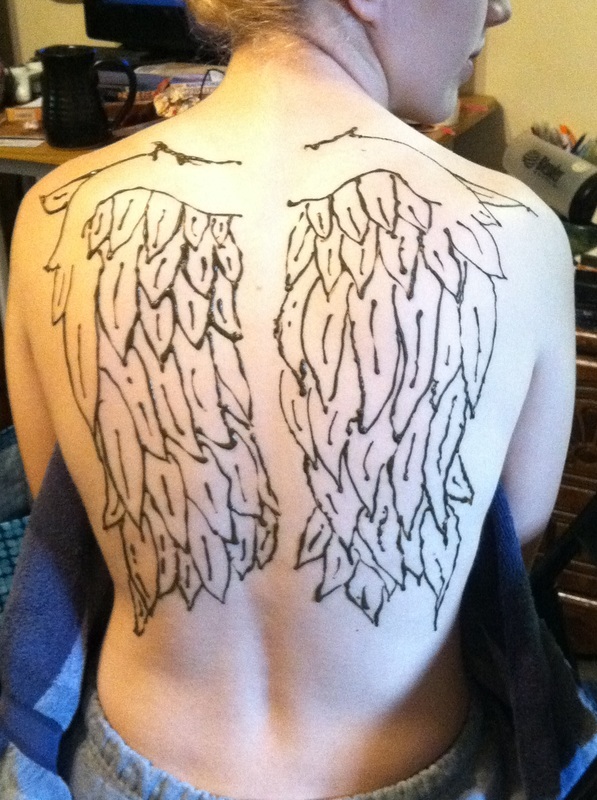 I have seen a lot of people spray painting stencils on with this paint, but all of my designs are hand-painted. 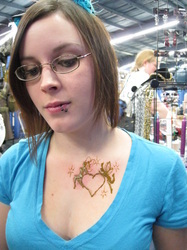 If cared for properly (dab with baby powder or cornstarch after bathing, don't scrub it, and keep shampoo away from it), they can last several days. 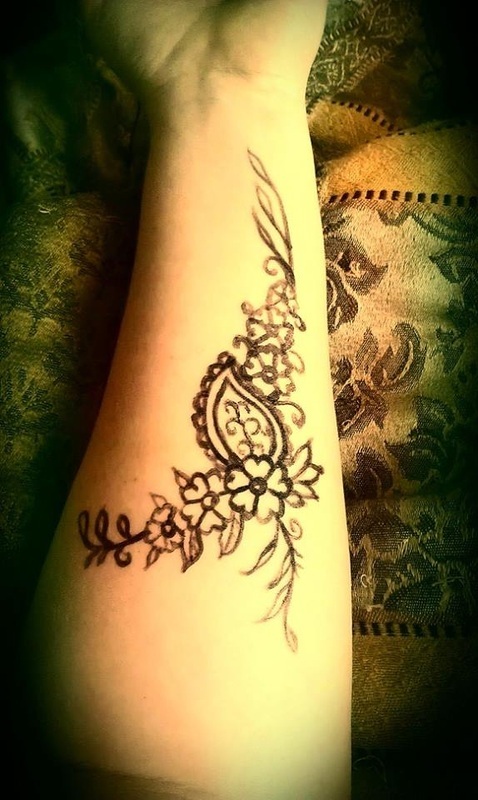 My love for henna has an influence on my other art that I think you will notice, and I hope to do more art inspired by this lovely art form. 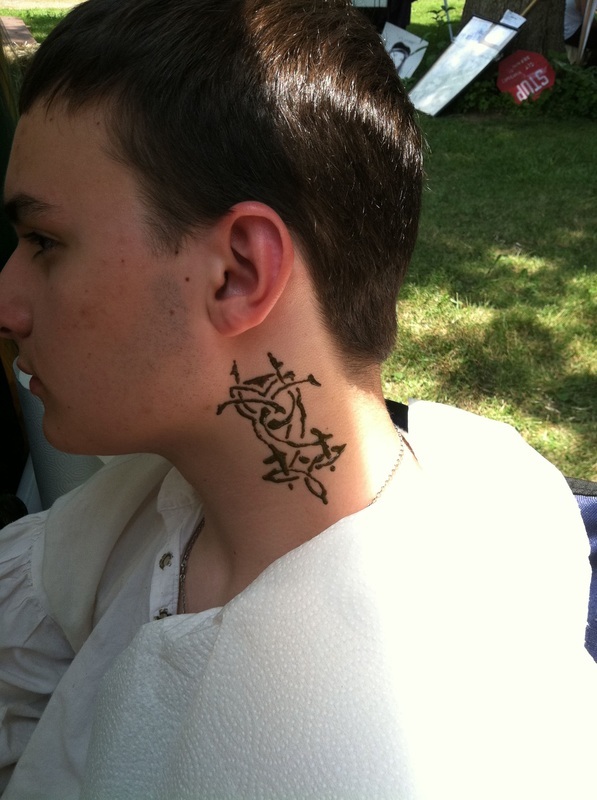 All of these pictures were taken on location, often with my phone, so the quality of the photos leaves a bit to be desired sometimes.